"I have always thought that the album was kind of the starting point and that something very different happens on stage than in the studio. I want people to listen to the record, watch the DVD and recognize that some progress is being made and different choices are being made." 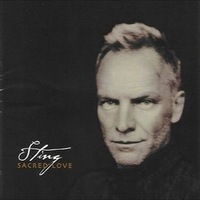 Inside the songs of 'Sacred Love' is the latest DVD to be released by Sting and as you might expect, is interesting for all kinds of reasons. 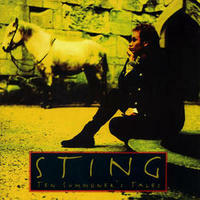 It might be argued that being released shortly after the global release of the 'Sacred Love' album that it could be expected to follow the path of a previous Sting video/videoCD release that captured the recording of 1993's 'Ten Summoner's Tales' album (and which won a Grammy award for best long-form video). The similarity however, ends there. This is not a traditional 'concert' video. There are no audience shots - those that were present at the filming remain ghostly out of focus figures at the edge of the action. 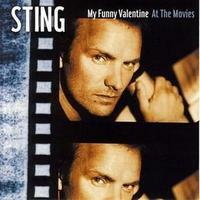 Whereas the 1993 video featured near identical version so the songs to those featured on the album, Inside does not. 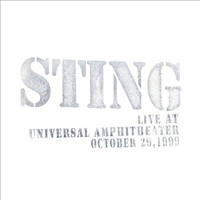 Many of the songs featured include footage from rehearsals at Sting's home in Malibu which then segues into footage of the same song later recorded at the Mayan theatre in downtown Los Angeles, often throwing in some insightful interview footage with the band members for good measure. 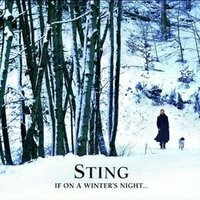 A further nice feature of the DVD is the commentary track by Sting which can set to fade in and fade out during tracks allowing Sting's reflections on the music and the songs to be heard. 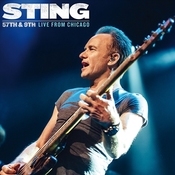 The DVD opens with footage of the first single, 'Send Your Love', recorded at the Mayan theatre and this largely acoustic version sounds better than the electronic 'techno' version released on the single and features some lovely piano playing by Jason Rebello. 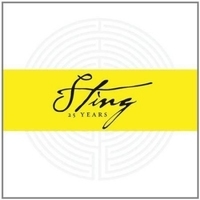 We then see Sting talking about the pleasure he and the band get from rehearsing and recording at home in a relaxed environment rather than the sterile environment of a recording studio. Dominic Miller explains that the point of the rehearsals is to reach the lowest common denominator as far as the songs arrangements are confirmed - once they have this together, they can build the songs back up again. 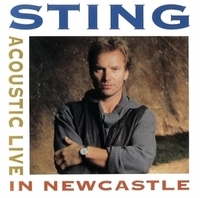 One of the interesting features of the DVD is that no drummer was used and Sting explains that this should not be seen as a slight against the profession, but that omitting drums at this early stage of the song's live development allows the "colours to emerge" in the arrangements. 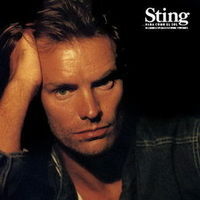 Including the drums at this stage, Sting explains, can sometimes prevent this development as he finds the drums are often all you can hear. 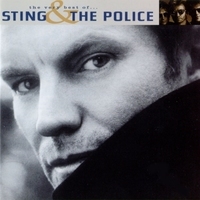 The track Inside features a mixture of footage from both the Mayan and Malibu and Sting describes how backing singer Joy Rose (a star in the making for sure) has grown into the group's role and is now much more than a backing singer and is now trading lines with Sting during the song and how he found that this was subsequently shifting the song's meaning. 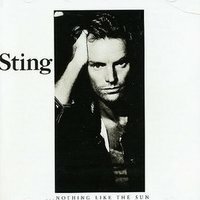 The footage of 'Dead Man's Rope' again shifts seamlessly between Malibu and the Mayan, but the Malibu footage was filmed the night after Kim Turner's passing, and Sting's moving words about Kim to the rest of the band are very touching. 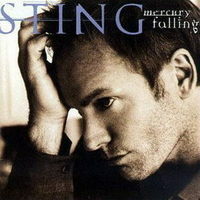 The commentary reveals that the song is about a man trapped inside a 'well of memory' - as Sting found himself to be during the writing of his biography - and that the song deals with the place where you need to deal with reality and once you accept this then comfort arrives. 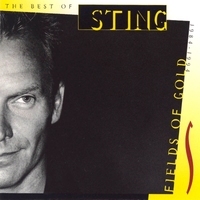 Sting and Dominic feature in a short and amusing segment about 'Shape Of My Heart', where Sting explains how they co-wrote the song and how Dominic is convinced that Sting found the lyrics in the garden under a stone. 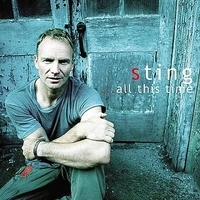 Dominic counters that he never listens to the lyrics anyway (Sting: "He's a guitarist, lyrics get in the way of his riffs") and the action cuts to Dominic in rehearsals asking for the words to 'Stolen Car', "But not all of them!". 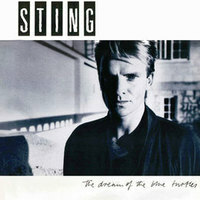 He wryly observes that "People will get their money's worth with the lyrics on this album", much to the amusement of Kipper who can be heard off screen, laughing heartily. 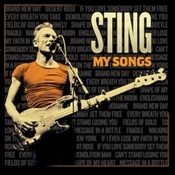 'Never Coming Home' is mainly Mayan footage and a great take, especially when Sting trades acoustic guitar for his bass and he and Jason start jamming away. 'Like A Beautiful Smile' is another amazing track featuring the combined talents of Dominic's guitar and Shakespeare's words. 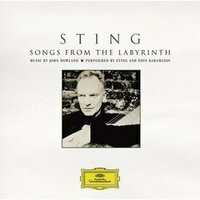 In the commentary, Sting explains how the song started as a piece of retro 70's jazz in 7/8 time with just the lyric "Like a beautiful smile fills up the sky", and that he was in sitting in his library trying to think of some lyrics and a book of Shakespeare's sonnets caught his eye. He opened it at random to the page containing Sonnet 18, started to sing the words to the melody and found that despite the odd time meter, the bard's words scanned so he simply placed his chorus in the middle! 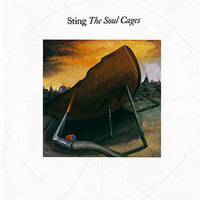 'This War' is a superb take and quite different and quieter than the album version, but equally powerful. Then we come to one of the highlights of the DVD - the pairing of two magnificent songs, 'Stolen Car' and 'All Would Envy' - both of which feature some sublime trumpet playing by Chris Botti. 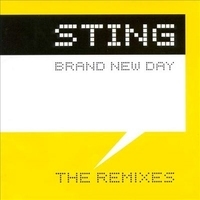 'All Would Envy' written for 1999's 'Brand New Day' but discarded for the album finally gets an outing (the only previous version of the song was recorded by Shawn Colvin) and the song is simply beautiful. 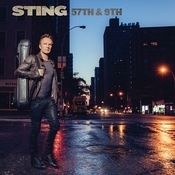 Chris Botti's yearning, soulful playing heightens the sadness of the song. 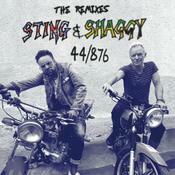 The smile on Sting's face at the final notes says it all. How can he resist playing this song live If we are fortunate to hear this pairing on the new tour, it will be worth the cost of admission alone. 'Sacred Love' is another track to feature footage from Malibu and the Mayan, but 'Book Of My Life' is another stand out track. 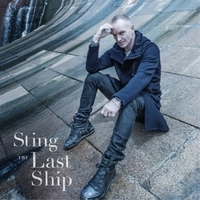 The commentary here is particularly insightful, with Sting talking about the experience and memories triggered through writing his biography. He explains how he did not want to write about his days of fame, but instead wanted to focus on the 'normal person' he was growing up into young adulthood, and to whom success was about to happen. In the book he writes about his parents who were very young when he was born explaining that the book offered him the opportunity to understand his parents better because he found himself as a fifty year old man writing about his parents at a time when they were little older than children. This reversal of perspective provided a new and better understanding of their relationship. 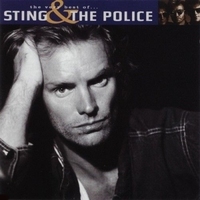 Two heavily reworked Police classics then follow - both of which Sting has succeeded in breathing new vitality into. 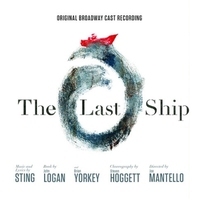 Both songs feature just the simple pairing of Sting and Jason Rebello. 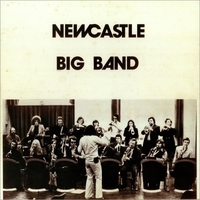 Walking on the Moon has been played live already in the new jazzy style, but it is the reworking of 'Roxanne' which amazes. 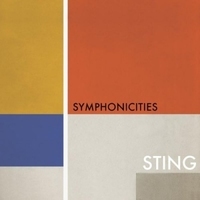 With a new verse as an intro, Sting and Jason perform one of the finest versions of the song we can ever recall hearing - and this on a song that has been reworked so extensively over the years you wonder if the song had any direction left in which to develop. 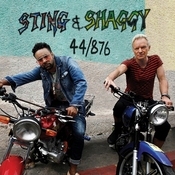 Earlier in the DVD, Sting explains how Jason was really recruited by Kenny Kirkland who introduced the pair at the Glastonbury Festival in 1997 with the words, "This is the only cat I listen to in England". After Kenny passed away Sting was left with the impossible task of replacing him and he wondered if Jason would be interested. 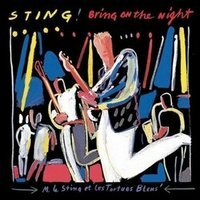 Now every night on stage when Jason plays, Sting thinks of Kenny smiling down proudly at him thinking "I put this guy in the band". We are all deeply indebted to you Kenny. 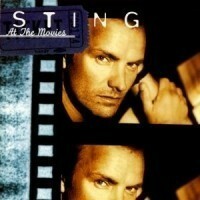 The DVD then wraps up with the arrival of Mary J. Blige to duet on 'Whenever I Say Your Name'. 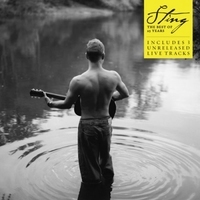 The special features section of the disc includes the version of 'Every Breath You Take' recorded for sessions@aol one evening in Malibu, along with Sting's commentary track and a choice of language subtitles (English, Spanish and Brazilian-Portuguese). 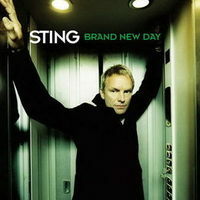 There is also an 'Easter Egg' or hidden feature: on the 'Shape Of My Heart' track, if you press the play key on your remote control just as Sting starts singing, you will be able to access a complete take of the song. 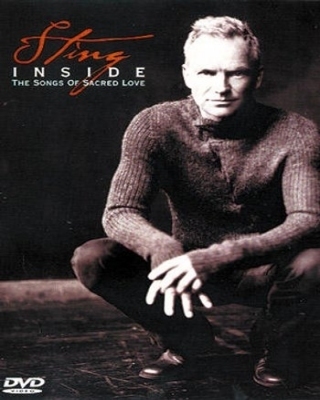 'Inside the songs of Sacred Love' shows a master craftsman at work and apart from being a must for anyone that that enjoys the Sacred Love album, should also be sought out by anyone that appreciates how Sting takes his older songs such as 'Roxanne' and 'Walking on the Moon' and tries to ensure that the songs continue to develop in new ways. 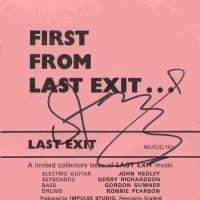 It would be interesting to see a further DVD released towards the end of the 'Sacred Love' tour so we can see how these songs develop after extensive playing, but for now 'Inside' is a perfect companion piece to the new album.